We are pleased to know that SOLA India in such a short span of time, has become a strong body of 600 members and successfully hosted six Dental Congress on Lasers in India. Laser Academy at Pune has trained more than 250 Dentists; an example of their zeal to impart Laser education in India & dedication for Laser Research. 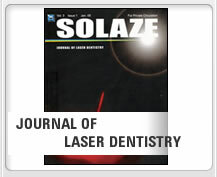 Society for Oral Laser applications; India is formed with an objective to impart Dental Laser education and to function for the advancement of knowledge, research, education and exchange of information related to Laser in Dentistry. The society includes among its members: Clinicians, Academicians and Researchers using all Laser wavelengths. Our members also include commercial manufacturers of Laser, Laser accessories and other high-tech products. It has successfully hosted six conferences: Mumbai-2006; Banglore-2008; Ahmedabad-2009; Pune-2010; New Delhi-2012 & Kolkata-2014. SOLA India was given shape and structure in India in late 2005 and was registered in January 2006 at Pune by our Founder President Dr. Naresh Thukral supported by Dr. Nilesh Patel, Dr. Anil Shah, Dr. Vivek Hegde, Dr. Mohan Vakade, Dr. Rajesh Dhirawani & Dr. Sameer Jadhav. We have evolved into a vast strong body of more than 650 members in a short span of 7 years. Eventually realizing the potential for Laser research in India; SOLA International has started conducting its Laser courses leading to Diploma since last 5 years. Around 280 members from India and South-East Asian countries, have undergone training through these courses. The aim of the society is propagation and dissemination of knowledge in the field of LASER in Dentistry perioral region. • To promote the exchange of ideas & information. • To encourage development of LASER concepts specific to practical needs and requirements. The society is a non-profit educational co-operation. It has no commercial interest, nor is it bound to any industrial or commercial enterprise. The society will support, co-operate and further develop the educational goals set forth for dental LASER education. These include conducting courses and certificate examinations. The society shall interact with the manufacturers of LASER equipment in a proactive way to remind them of their obligation to have purchaser property trained on the device before delivering dental care with it. The Society will hold annual conference for national and international presentations of clinical and scientific advancement in LASER and high-tech products: and for facilitating fellowship among LASER users.